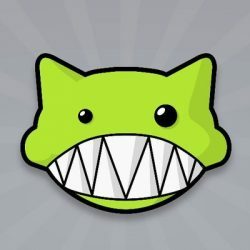 Semi-private BitTorrent tracker Demonoid has been offline for several days. The downtime follows a series of technical issues. More concerning, however, is the fact that the site's staff haven't heard from the site's owner for more than two months. As one of the oldest torrent communities around, Demonoid has run into quite a few rough patches over the years. Whether it’s media industry pressure, lawsuits, blocking orders, hosting problems or police investigations, Demonoid has seen it all. The site has established a reputation as the “comeback kid,” due to its tendency to go offline for weeks or even months, and then reappear in full glory as if nothing ever happened. Over the past weeks, the site has hit some rough patches again. In August the site’s torrents mysteriously disappeared and while these eventually came back, more technical issues were around the corner. While technical troubles are nothing out of the ordinary, there was a reason for concern as the site’s owner, Deimos, was missing in action as well. Late last week things took a turn for the worse. Over the past few days, Demonoid has been completely unreachable, and its owner is still nowhere to be seen. Demonoid staffer Phaze1G informs TorrentFreak that it’s unclear what’s going on. The domain names work just fine, but in addition to Demonoid, the tracker’s sister site Hypercache.pw has also gone offline, which is unusual. “There’s nothing new, unfortunately,” Phaze1G told us yesterday, noting that all staff members are waiting in a small chat box, looking out for something positive to cling onto. At the moment both the site’s users and staff are completely in the dark. There has been come continued activity in the official Reddit forums, but other than that things have remained quiet. The site’s staff do want to highlight, however, that there are no proxies or other alternatives available. There are some copycats around, but these are all fake. “Users should be REALLY aware that there is no: .onion address, mirrors, alternative Demonoids and such. Especially to avoid demonoid.to,” Phaze1G says. The staffer believes that Deimos’ absence may be due to personal circumstances. However, the owner also made it clear that he would do his best to avoid legal issues if something concrete ever happened. That said, Deimos is not the kind of person to leave the site adrift without reason. He resurrected it back in 2014, hoping to rebuild the great community it was during the early days. In a way, it’s his baby. “In his vision, Demonoid is a place which helps the world to be just a tiny bit of a better place,” Phaze1G says. Over the past several years, Demonoid was gradually expanding its userbase again. The current downtime is a major setback, but perhaps that’s part of the Demonoid’s spirit too. It’s the comeback kid after all. “Demonoid will most likely return, but for now, we have to wait,” Phaze1G concludes.